First impressions? Well, this is the second time around but indeed, it is VERY IMPRESSIVE! The Galaxy S8 Plus comes with Infinity Display with a resolution of 2960×1440 pixels, Snapdragon 835, IP68 waterproof rating, and feels very slim in the hands while giving you much larger screen than last year’s Galaxy S7 Edge. While I will have to do further testing in the camera department, the phone itself is beautiful and feels great in the hands. The best part about the S8 Plus over last year’s S7 Edge is that the edge screen has become less curvier, allowing you to more easily type without hitting the edge screen. Also, the flat part of the screen is much wider than S7 Edge, which equals likes of LG V20 while you get more screen real estate, especially reading websites or e-mails. Overall, this is definitely the most premium smartphone of the year I have seen so far. If you are undecided about getting the S8 Plus and you are a phablet lover like myself, I don’t think it will disappoint you. I should have a full review after a week but for right now, this is definitely be my daily driver for awhile. 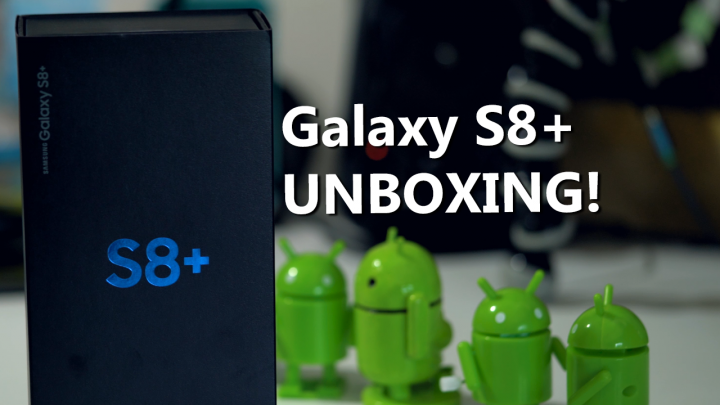 Next story Galaxy S8 or S8 Plus – Stuff you MUST DO After Buying! Previous story What’s On My Android!